As merger rumours go, they didn’t come much better. Omnipub. Or more probably Publicom. But let’s come back to that later. The idea that the world’s number two marketing services group, Omnicom, is about to combine with the number three, Publicis Groupe, and topple WPP from its premier spot (by market capitalisation) eventually proved too much for Bloomberg News. Yesterday, after the New York Stock Exchange had closed, it went ahead and published on the basis of a single source, probably but not certainly a disaffected investment banker. Commentators have rightly fastened upon the many impediments to Wren and Lévy pulling off this $35bn marriage in advertising heaven. They range from anti-trust legislation, to rampant nationalism (Publicis is a French chauvinistic icon, and seen as a bulwark against Le Defi Americain), to apparently unbridgeable divergence in the two companies’ strategies, not to mention the little matter of crippling client conflict. So that’s it then? It can’t possibly work? Well, no. I can’t speak for the thicket of legal obstacles likely to be thrown in the way of the touted merger, but most of the other objections can be turned on their head, sometimes to advantage. Let’s take strategy as an example. Lévy is relatively weak in the USA, but has emphasised emerging markets and put his money where his mouth is – sometimes too much of it – with expensive digital acquisitions such as Digitas, Razorfish, Rosetta, Big Fuel and LBi. Wren is archetypally American – over 50% of his business comes from the States; he has shied away from digital acquisitions, which he regards as over-priced, and some (including shareholders) would argue that his conservatism, or complacency, has cost Omnicom dear in the Far East. So different strategies, yes; but incompatible ones, no. Nor is client conflict the neurotic impediment to mergers in the advertising business it once was. Some clients – McDonald’s, Mars and Procter & Gamble for instance – are held in common by the two groups. The real deal-breaker – if there is one – is likely to be Coca-Cola (PG) and PepsiCo (Omnicom). Then again, maybe Wren knows something about the state of the PepsiCo business we don’t. Next, might a merger not help to address some chronic succession problems in both organisations? Readers of this news site will be very familiar with those at Publicis. Jean-Yves Naouri, once 71-year-old Lévy’s favoured protégé, seems to have fallen by the wayside. While Arthur Sadoun – the capable, ambitious managing director of the elite Publicis Worldwide network – was probably too young and too little known outside France to assume the global mantle. An added piece in this jigsaw is Elisabeth Badinter, the daughter of Publicis founder Marcel Bleustein-Blanchet, who has been a member of PG’s supervisory board since 1987 and its chairman since 1996. 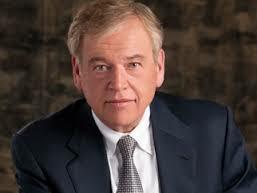 Badinter will, according to the Wall Street Journal, co-chair the new Publicis/Omnicom entity with Bruce Crawford. But she is expected to retire at the end of 2015. Which would be a convenient moment for Lévy to metamorphose into an emeritus role. It might also be a convenient moment for Badinter to bow out and cash in an enormous cheque. She is a 9.1% share holder in Publicis Groupe. Turning to Omnicom, the problems of its senior management are less well ventilated. But two things are certain: its directors are not getting any younger and there hasn’t been much mobility lately. The average age of the board is over 70 (my thanks to Bob Willott for this pop-up statistic), making 61-year-old Wren look a comparative spring-chicken. Omnicom remains a well-run company, but there is an unmistakable air of geriatric stasis hanging over it. It has lost some big, perennial, brands in the recent past: Gillette and Chevrolet. Another signature account – Anheuser-Busch – has been cut to ribbons by the cost-conscious Boys from Brazil (InBev). 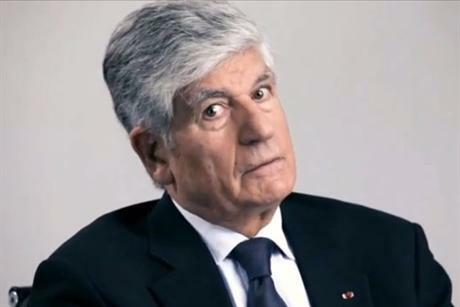 By contrast Publicis – for all its chief’s distinguished grey hair – is viewed as dynamic; a perception reflected not only in PG’s recent stellar results but its consistently superior stock market rating. A “nil premium” merger (which is what Bloomberg has suggested this is) implies a combination of equals. In reality, although Omnicom is the larger company, Publicis will end up in the driving seat: we’re talking Publicom rather than OmniPub. The signs are already there: in the name, Publicis leading; and in the venue for the announcement tomorrow, Paris. The important detail to look out for will be who becomes chief financial officer. My money is on Jean-Michel Etienne rather than Randy Weisenburger. It’s not only the French who have to be appeased, it’s also the investment community. Bloomberg seeded one of the most galvanising “silly season” rumours in years. The only thing is, it turned out to be true. This entry was posted on Saturday, July 27th, 2013 at 8:57 pm and is filed under Advertising. You can follow any responses to this entry through the RSS 2.0 feed. You can leave a response, or trackback from your own site. Where is this going to end and what does this mean for the advertising industry? WPP will not take this lying down of course, and they’ll try to swallow up a few more agencies to get into the lead. I used to think that it actually made a difference which group you are part of but it probably doesn’t.